NBA Oklahoma City Thunder player Enes Kanter, who was briefly detained on Saturday at an airport in Romania upon a request from the Turkish government, told CBS news on Monday that he went to Romania after fleeing Indonesia when he found out he was being pursued by local intelligence. Appearing on “CBS This Morning” on Monday, Kanter said the trouble began while he was in Indonesia last week. “I was sleeping around 2:30 or something and my manager knocked on my door. He said the Secret Service and the Indonesian army were looking for me because the Turkish government told them I was a dangerous man,” Kanter said. “We didn’t know what we had to do. We escaped the country and went to Singapore, then we came to Romania,” he added. Earlier this month, Malaysia detained and deported three Turkish nationals at the request of Turkish government. The pressure against Turkish expats abroad stems from their support to the Gulen movement, which the government accuses of masterminding the July 15, 2016 coup attempt. Underlining that he is getting death threats almost every day, Kanter said Turkey revoked his passport in retaliation for his political views. 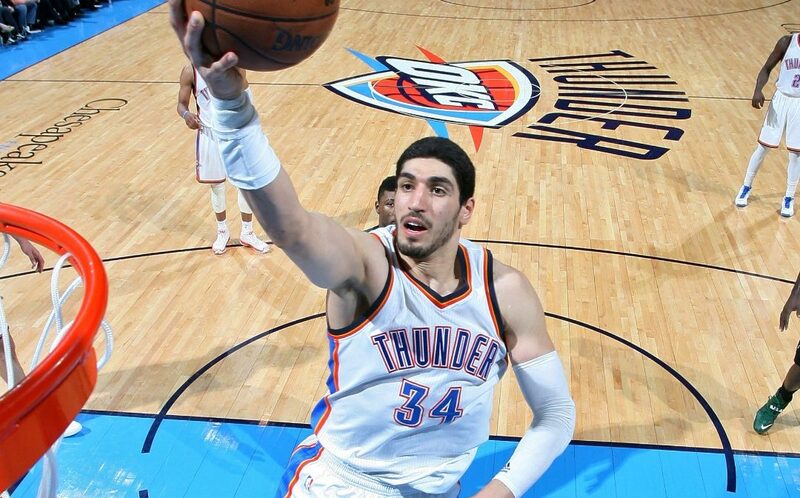 When asked about how he traveled to the US from London after his passport was canceled, Kanter said, “I want to say thank you to Homeland Security, State Department, Oklahoma City Thunder, NBA, NBPA – we were all working as a team,” he said. Kanter said he has become a target of Turkish President Recep Tayyip Erdoğan because he has been an outspoken critic. The Turkish government has been trying to confiscate more than 50,000 passports including those held by relatives of journalists living in exile. Twenty-four-year-old Kanter is one of the most famous Turkish basketball players in the NBA. His family disowned him after he pledged support to Turkish Islamic scholar Fethullah Gülen, who the Turkish government says was behind a failed coup in Turkey on July 15. “I’m just one example, there are thousands of examples out there even worse than my story,” Kanter also said in reference to Turkey’s detaining more than 120,000 people over alleged or real links to the movement. “There are 70,000 women, pregnant or not pregnant, are in jail,” he added. Oklahoma Governor Mary Fallin officially declared Oct. 29, 2016 “Enes Kanter Day” for the professional success of the Oklahoma City Thunder player and his dedication to civic organizations in the state. This article originally appeared in Turkish Minute on May 22.